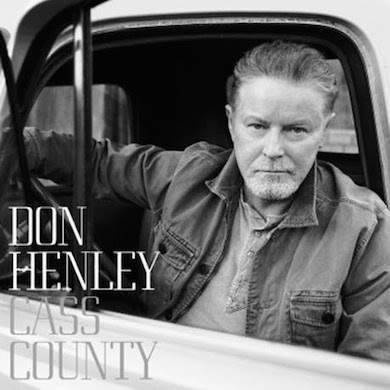 Don Henley‘s duet with Dolly Parton, a Louvin Brothers cover titled “When I Stop Dreaming,” is available with a preorder on iTunes ahead of Henley’s Cass County Capitol Records release on Sept. 25. A stream of the song is available with USA Today. “That Old Flame,” a duet featuring Martina McBride and additional track, “Take A Picture of This,” are also available. The 12-track standard project contains additional guests Merle Haggard, Mick Jagger, Miranda Lambert, Trisha Yearwood and Lee Ann Womack. Tickets were available today, Friday, August 7 at 10 a.m. for most of Henley’s Cass County Tour 2015, including an October 18 stop at the Ryman Auditorium. There are still single seats available for the Nashville date with singer-songwriter Shawn Colvin. Tomorrow (August 8), tickets will be available for shows in Detroit, Mich.; Grand Prairie, Texas; and Santa Barbara, Calif. Tickets for the Los Angeles concert at the Forum go on sale Saturday, August 14 at 10 a.m.
Each concert ticket ordered online from the primary ticket outlet for the tour will receive the deluxe CD via mail. A super deluxe version of the album will also be available in Henley’s official online store, including a 50 -page booklet with exclusive photos, collector postcards, deluxe CD album, and as a deluxe Vinyl. A limited number of bundles will also be offered, including a T-shirt and 12X12 lithograph.